About Me: Freelance Copywriter. Screenwriter, Musical Theater Writer, Children’s Book Author. Wellness Entrepreneur. Magnificently complicated and enduring. Captures imagery with the flick of the wrist. Wry witicism, clenching, jaw dropping depth. Dig it. 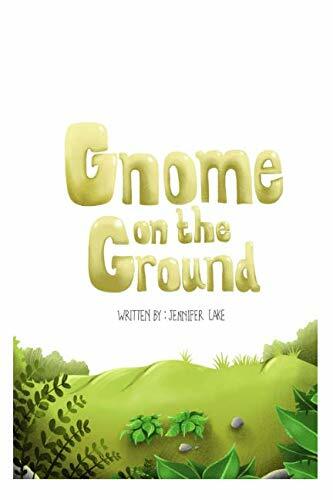 Gnome on the Ground is a book, and a movement for parents who are tired of feeling the pressure of society and capitalism to spend holidays a certain way, the rules and judgmental elements that accompany Elf on The Shelf, or just plain tired. Gnome On The Ground promotes love, compassion and the power of choice all throughout the year and the best part is as a parent you literally have to do nothing with this creature. Gnome Just wants a Hug, or a nap or to just sit and do nothing. What a relatable creature.. I wrote a Musical, because I had not other choice but to listen to the voices that wanted to come out. All of my wellness practices; yoga, meditation, nutrition, movement, meetings, and healing work are the foundation for my creative endeavors. It’s pretty epic and I am phenomenally excited about it. MOMS THE MUSICAL is an Original Musical Comedy written by a real Mom. Since the beginning of time (and who can really pin point that down) the only way into this world has been through a MOM. Let's face it, you either have one, or are one. None of us are perfect and we can all use a little help from time to time. Join us as we journey through wild parenting adventures, together. Synopsis "Moms the Musical" is a comedic drama inspired by the realities of motherhood. Five friends - seemingly very different women (with a few men) - move through the trials and tribulations of parenting within contrasting socioeconomic circumstances. All of these characters desperately want to be happy and be good role models for their children. But, as we discover, everyone is fumbling their way through life. We experience the differences and similarities of the challenges they face as they navigate their wild parenting adventures, ultimately answering the questions: what does it take to be happy and be a good parent? What does it mean to raise a family while feeling lost on your own journey? Can you really have it all? "Moms the Musical" is sure to provide all-out belly laughs, tears of compassion, and renewed appreciation for the mothers in your life. A spiritual twist of whimsical magic and insight tie it all together, as we realize that the unifying factor for all of us - no matter how much money or fame we have or don't have - is...love.